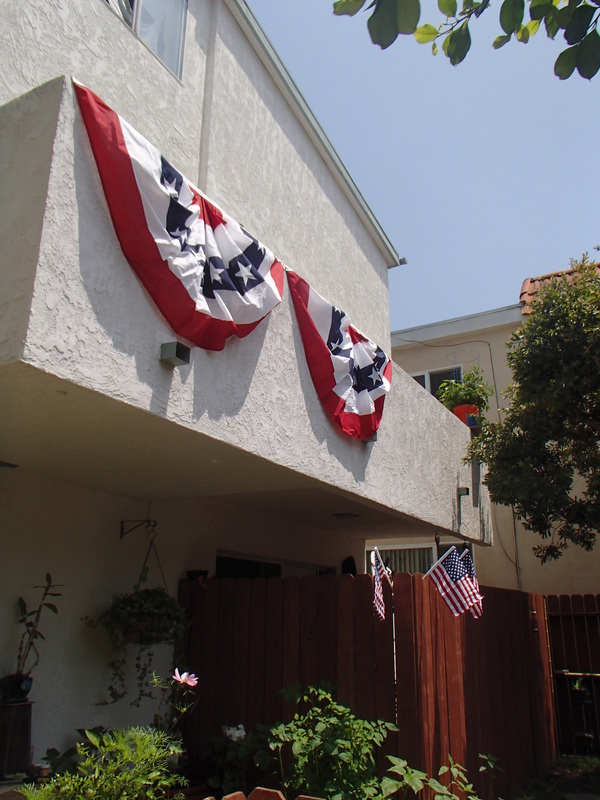 Two of my favorite 4th of July celebrations include one overseas and one home in the States. In the summer of 2006, I was interning for the U.S. Embassy in Tokyo for Ambassador Tom Schieffer who was so gracious to invite all the interns to the 4th of July Celebration at the Ambassador’s Residence. This was one of the most lavish 4th of July celebrations I had ever been too and many famous actors, actresses, and prominent businessmen in Tokyo and the surrounding areas were in attendance. The weather was perfect and I remember seeing tons of guests that I usually see on TV! One of my favorites of the evening! Then, Nashville has one of the best 4th of July celebrations. While I lived there, I convinced someone to visit me every year and all of them raved about having the best time. During the day, we’d head over to the Music City Hot Chicken Festival in East Nasty (Nashville) where you blow your head off with the hottest chicken from famous institutions such as Bolton’s Spicy Chicken and Fish or Prince’s Hot Chicken Shack. Insider tip, the longest queues are the best stalls. Other restaurants and dessert places are invited and create a ‘hot’ dish as well. To cool your mouth off, Yazoo Brewery Company has a giant tent for 21+ to enjoy a local beverages such as Dos Perros, Gerst, and Sue. An amateur hot chicken competition, live music, and free watermelon make this festival worth going year after year. After spending a few hours, we’re pretty hot and sweating from the summer heat and hot chicken so we head to a friend’s pool to relax and hang out for the rest of the day. The city has a parade and when sunset rolls around, the Nashville Symphony performs to a fireworks show and it’s just the perfect way to end the day! This year’s 4th of July was a fabulous one because I spent it with my sister, Lonnie and one of my besties from Kansai Gaidai University (KGU), Jenni! 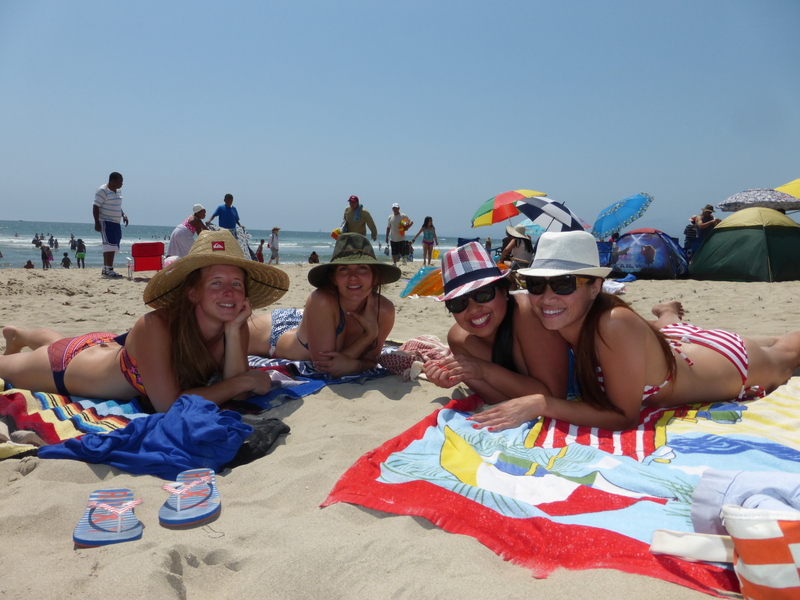 We went to Venice Beach during the day to soak up some rays in our red, white, and blues. Venice Beach is one of the best people watching spots in LA and 4th of July gave them more reason to stand out/show off! Jenni and I caught up about life, love, and everything in between. Jenni and I met on the first day of school in Japan and were inseparable after that. She’s just beautiful inside and out with a carefree spirit. A lover of the water and always striving to improve herself and find her path. We had the same host family, the Morimoto’s whom we have a great affinity. Jenni and I- I love this girl so much. Lonnie and I headed over to a small pool party with just us and relaxed with some sangria before going to Americafest at the Rose Bowl. For over 85 years, there is a huge family friendly festival called Americafest where people can bring picnics, tour the stadium, and tons of activities for the kiddos. 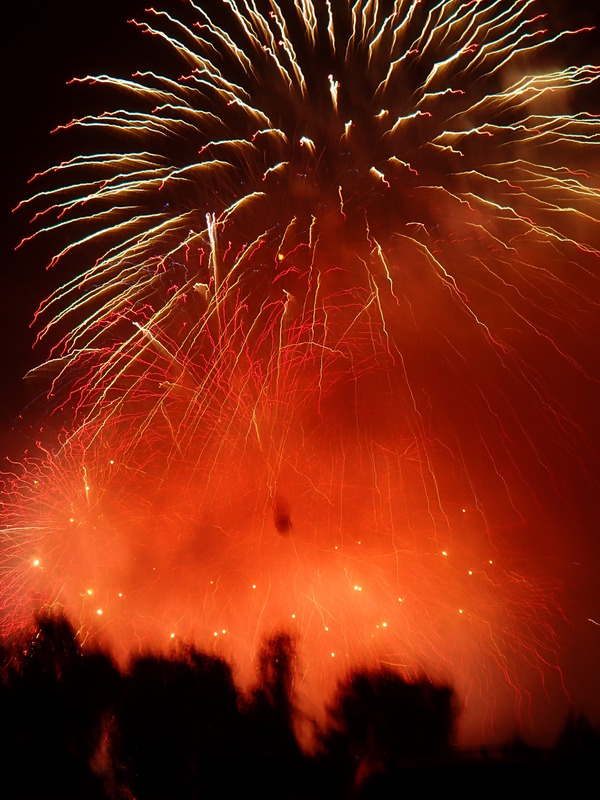 When the sun fades away, the close the festival with a bang! This is the biggest fireworks show in Southern Cali and goes for about thirty minutes. 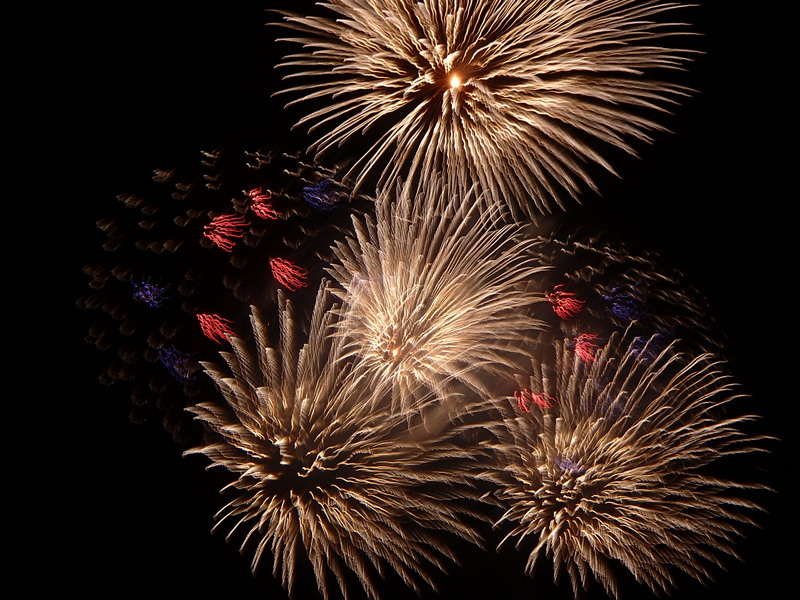 I love fireworks with the unique shapes, colors and images because there is always a surprise of some sort. We didn’t stay out too late as I had to catch a super early flight back to Arkansas so it was a fab 4th! I hope that all of my international friends can come celebrate with me one year. What a blast! I love the 4th too! You’re welcome to come back next year! It couldn’t have been more perfect!